Asking and answering questions is the cornerstone of science yet formal training in understanding this key process is often overlooked. Asking Questions in Biology unpacks this crucial process of enquiry, from a biological perspective, at its various stages. It begins with an overview of scientific question-asking in general, before moving on to demonstrate how to derive hypotheses from unstructured observations. It then explains in the main sections of the book, how to use statistical tests as tools to analyse data and answer those questions before, finally, showing the best practice in presenting scientific reports. 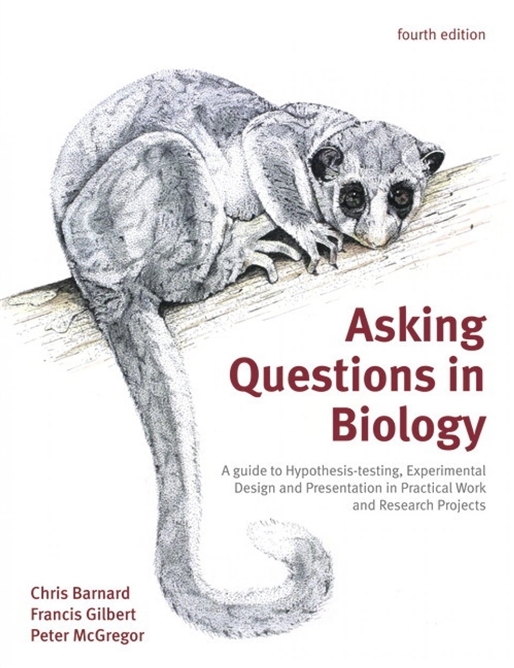 As such, it is an indispensable companion to all students of biology, but particularly those enrolled in courses concerning experimental design; data analysis; hypothesis testing; research methods; or any practical project work.